This is an archived article. The information contained within may no longer be current, but has been left online for reference purposes. 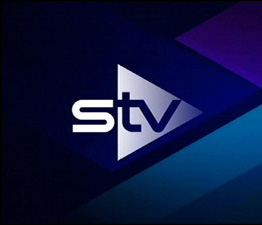 The high definition version of Scottish Channel 3 operator STV has commenced testing on satellite ahead of its official launch on Sky and Freesat on the 28th April. Viewers with Sky and Freesat boxes can already manually tune in the signal via their respective "other channels" or "non-Freesat mode" functions, bearing in mind that the service is still in a test phase until the end of the month. In Central and Northern Scotland, STV HD will appear on Freesat channel 119. On Sky, it will launch in Glasgow and the West of Scotland on channel 103 for Sky HD subscribers. For all other viewers and subscriber types, the channel will appear on Sky channel 178. Here is the transponder the channel is launching on. It will be using capacity previously used for ITV HD on an ITV transponder. STV HD has been on satellite in the past. For several years, until early in 2014, it was hidden away from most viewers on Sky hosted capacity. During 2012, ITV, UTV and STV reached an agreement on the future of the ITV (Channel 3) Network, which began to pave the way for UTV and STV to launch HD channels on satellite. Various undisclosed delays held up the inclusion of UTV HD and STV HD on satellite for over a year. UTV HD launched late last year on satellite. STV HD has until now only been carried on Freeview HD and cable networks. STV has meanwhile confirmed it has "no plans for STV+1" on Sky or Freesat at the moment, although the service is being broadcast free-to-air on Astra 2E, transponder 54, 10906 V (S/R 22000, FEC 5/6).